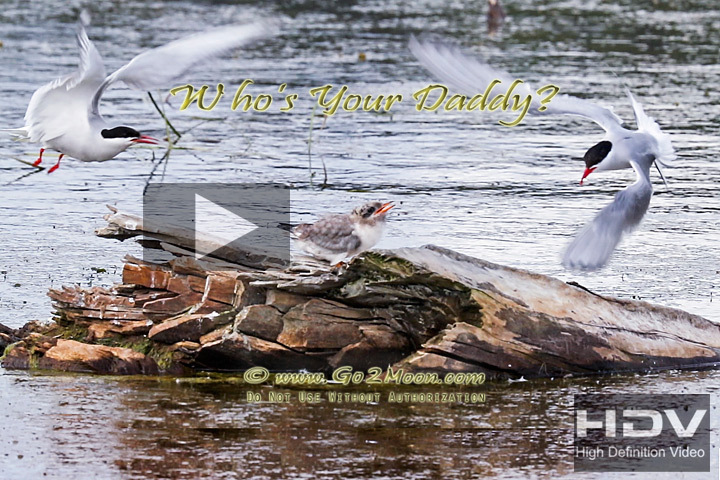 Two Arctic Terns come to feed a chick, but which one is the daddy? The chick is confused and would only take food from the real parent. Make sure you select HD quality when viewing the video.